Virtually every culture has one. They are invariably ancient and well precedented. And they never die, precisely because their subjects do. We’re talking about the myth of the star-crossed lovers, whether they be Dido and Aeneas, Pyramus and Thisbe or Romeo and Juliet. 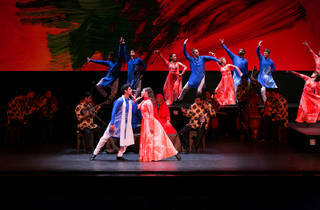 In the Persian tradition, they are known as Layla and Majnun. The specifics vary but not the overall meaning, which boils down to: love is tragedy and death, but worth the sacrifice. 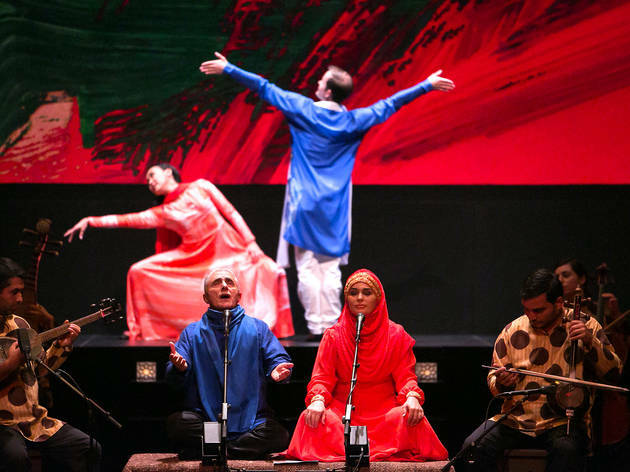 The story of Layla and Majnun has been interpreted through literature, dance, music and film, across a wide swath of the world, from Afghanistan to India. The most culturally significant iteration is Nezami Ganjawi’s 1188 narrative poem, but versions of the story had circulated in Persian culture for centuries before that. It was probably around the 16th century that the myth passed into Azerbaijani culture, with a composition by Muhammad Fizuli which was eventually translated into the Middle East’s first opera. 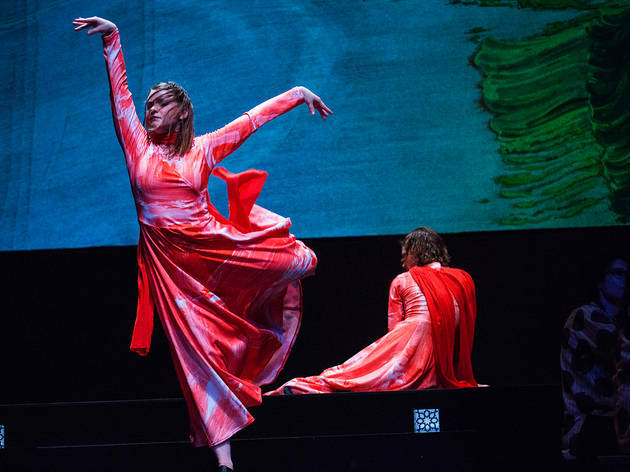 Layla and Majnun premiered in 1908, composed by Uzeyir Hajibeyov, and it’s this work that Mark Morris Dance Group and Silkroad Ensemble present as part of the Melbourne Festival. That’s a lot to take in, and a hell of a lot to wrangle. 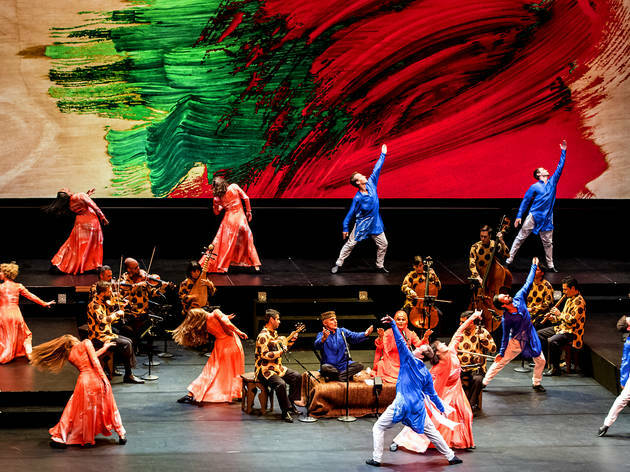 An ancient tale, a contemporary dance company, an amalgam of traditional Eastern and Western instruments, and most spectacularly, the world’s leading Mugham vocalists, Alim Qasimov and his daughter Fargana Qasimov. Mugham is an Azerbaijani modal vocal technique that relies heavily on improvisation and melodic fragments. It’s amazing in a recording, but utterly transfixing live, and these two masters of the form consistently threaten to overwhelm the piece with the power of their talent. 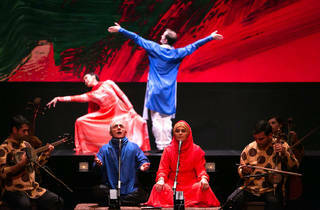 The night opens with a prologue of sorts; two mugham singers, Kamila Nabiyeva and Miriam Miralamov are accompanied on the kamancheh (a kind of bowed stringed instrument) by Rauf Islamov and on the tar (the word relates to guitar and sitar, and looks like an elongated banjo) by Zaki Valiyev. They sing of the longing and the inherent pain of love, and it’s the perfect taster for what follows. 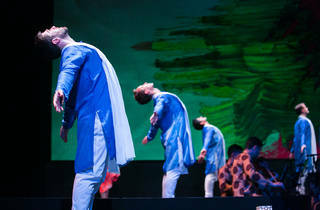 Divided into sections, with titles like ‘Love and Separation’, ‘The Parents’ Disapproval’ and ‘Sorrow and Despair’, the story is whittled down to its barest elements, as various dancers take up the roles of the lovers, swirling around the musicians in long flowing costumes (Maile Okamura) of coral and blue. 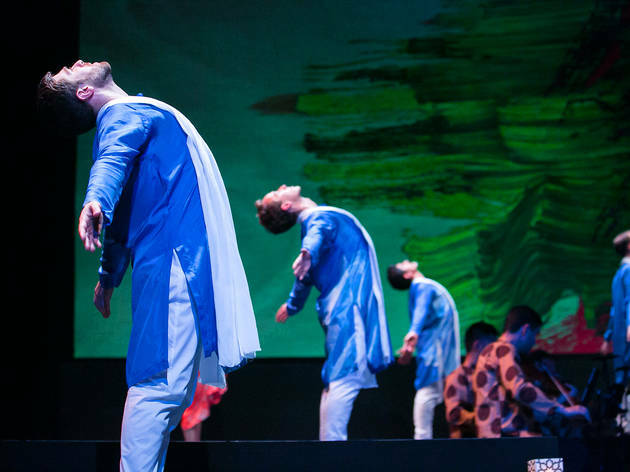 Choreographer Mark Morris employs several techniques – sometimes the movement taps the shoulder of classical ballet, sometimes it suggests dervish and folk dancing – to quite beautiful effect. There’s a lovely sense of the secular sacred in it, as the partners cup each other’s bodies, or take it in turn to mirror each other’s movements. Long sections involve a single dancer establishing a phrasal movement that is then echoed and interpreted by another and another, until lines of dancers are moving in unison. 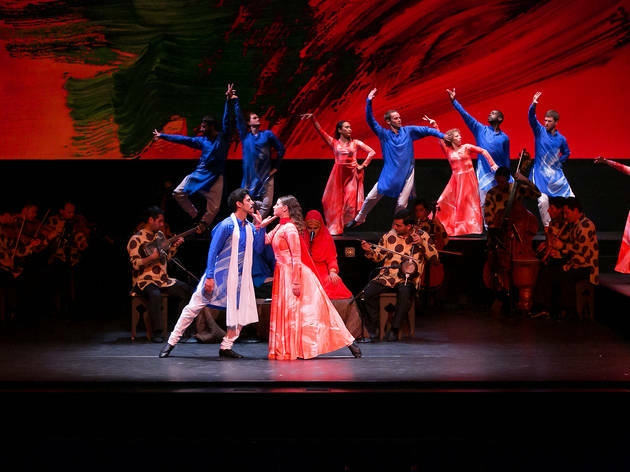 It’s a tangible demonstration of the whole spirit of this work, which brings a rich array of cultures together in the service of a tale that itself spans cultures. 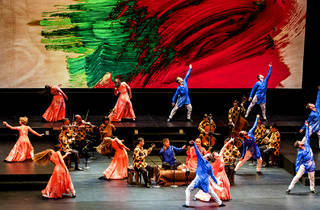 It’s the guiding principle of the Silkroad Ensemble, which initiated this project. There has perhaps never been a better time in modern history to demonstrate the power of shared (as opposed to integrated) cultures, especially in this country which seems about to embark on a fractious debate about the kind of multiculturalism we want to live in. Azerbaijani culture is incredibly rich and Alim and Fargana Qasimov two of its most famous proponents, but it’s the way these glorious, soaring and plaintive voices meet and meld with the considered dance and the superb musicianship, that truly gives this work its power.